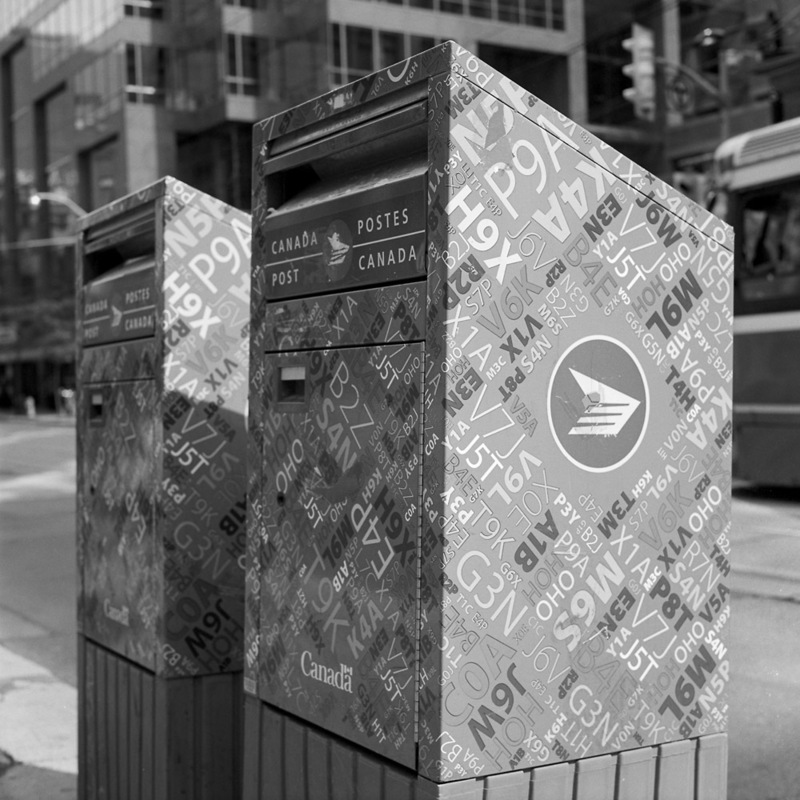 A pair of CanadaPost mailboxes on a street in downtown Toronto. I would have thought they were power transformers or something if it weren’t for the wrappers that say Canada Post on them. We have weird ersatz mailboxes here in the US that are green and have no slot, and are marked US Government Use Only. I’ll have to look around for one of those – THEY’re becoming extremely rare as well.